Imagine a cerise version of G. Rozanne and you have the flower colour, with the usual pale centre. The foliage is also scented. Discovered in a batch of G. Rozanne/G. Jolly Bee by Marco van Noort. 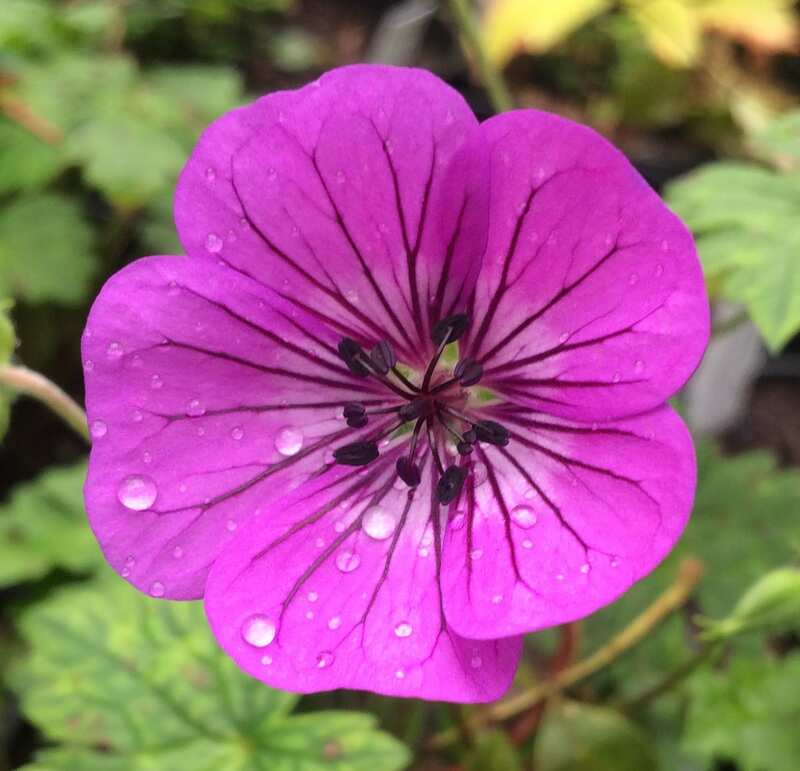 This geranium forms a central mound and then flowers on trailing stems, right through until the first frosts. Easy and very hardy. Grown organically in peat free compost. Hardiness zone H7. Keep cutting the trailing stems when flowering on each stem finishes. Can be propagated by division or stem cuttings. Benefits from a spring feed.